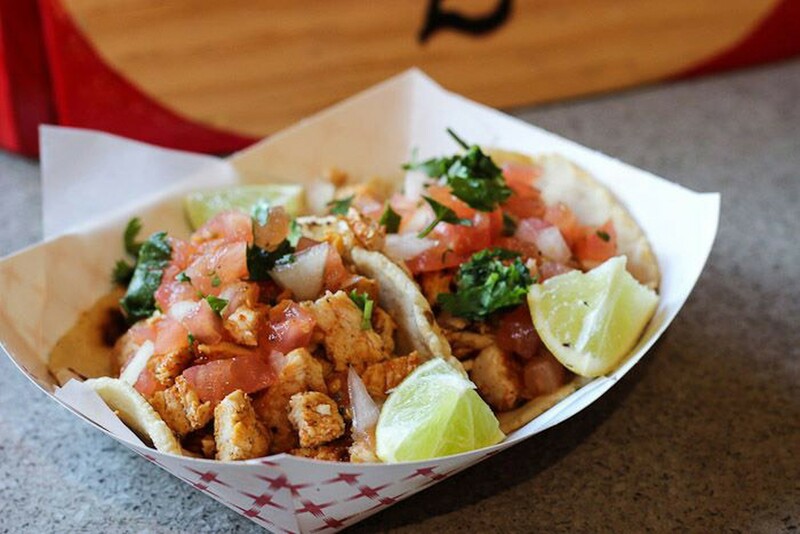 When we tell people that Toma is our favorite spot for quick Mexican in the Marina, the response is usually a blank stare or an attempt to correct our seemingly obvious error. “Oh, you mean Tacko?” No. We don’t mean Tacko. Tacko is the San Francisco version of George R.R. Martin’s naming convention. It’s like they just wanted to name the restaurant ‘Taco,’ but decided that wouldn’t fly, so they messed with the spelling. Total Uncle Kevan move. Anyway, we love Toma and we mean it. We aren’t confused. It’s sort of our secret spot, and while we don’t want it to turn into a lines and waits kind of place, the tiny taco shop deserves some more attention. The people are nice, the salsa is bomb, and the tortillas are cooked to order for your tacos. And the tacos are awesome and ring up at under $3 a piece. In the Marina. This is why we haven’t shared the joy of Toma yet. The spot is easy to miss, since it’s a pretty nondescript door on Steiner with a few chairs outside when it’s nice out. Roll up, order your tacos at the counter and immediately begin stockpiling salsa in the little plastic cups. On weekends, get the breakfast burrito, which is the best you’ll find on this side of town. You can get them on the weekdays too, but you'll probably want to go to sleep afterwards. Maybe a good 'work from home' move. Salty thick chips and stellar guacamole for under five dollars. If you don’t get an order of this, you make questionable life choices. Did you go see Mortdecai on opening night? Pollo asado or adobado (marinated pork) are the way to go. While the vegetable ones sound good, they tend to be a little dry. The housemade tortillas are cooked while you stand there, and the cilantro onion salsa is top notch. Or if it’s a Friday, the barbacoa is on the menu and it is crazy good. The fajita burrito that comes with sauteed peppers and onions is the hotness. Carne asada FTW. Acceptable to eat for lunch, brunch or whenever you can avail yourself of one. Cheesy, eggy delight. We usually go for the huevos rancheros.